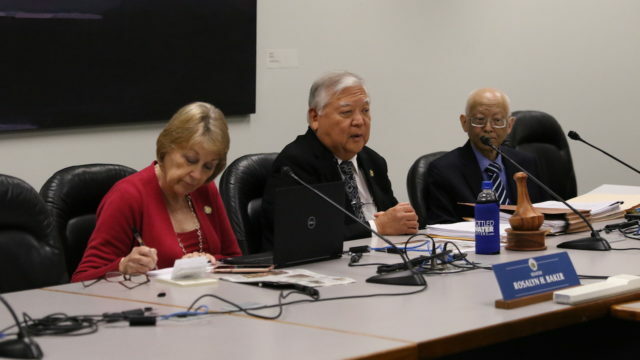 The post Legislature Approves Spending Millions For Elderly Care appeared first on Honolulu Civil Beat. The Hawaii Legislature passed a package of bills Tuesday that provides millions of dollars to elderly care programs. The bills will now to Gov. David Ige for his approval. 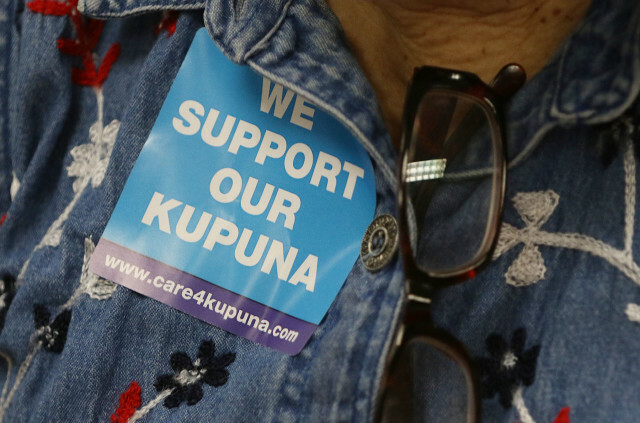 The funds for kupuna programs were some of the larger budget requests left out of the state’s operating budget passed in March. House Bill 465 would appropriate an additional $8.2 million over the next two years for programs that provide the elderly access to basic services like bathing, eating, shopping and purchasing medications. The base budget already included $9 million for the programs. A long-term care program supporter sits at the Capitol in 2016. Senate Bill 1025 would add $1.5 million to the budget in the coming fiscal year beginning July 1 for home caregivers. The bill also changes the amount of compensation caregivers can apply for from $70 to $210 a week. Rep. Gregg Takayama said that allows caregivers more flexibility in how they use the money. Takayama said, as an example, if a family wanted to hire an at-home nurse for certain services, they’d be in a better position to do that. 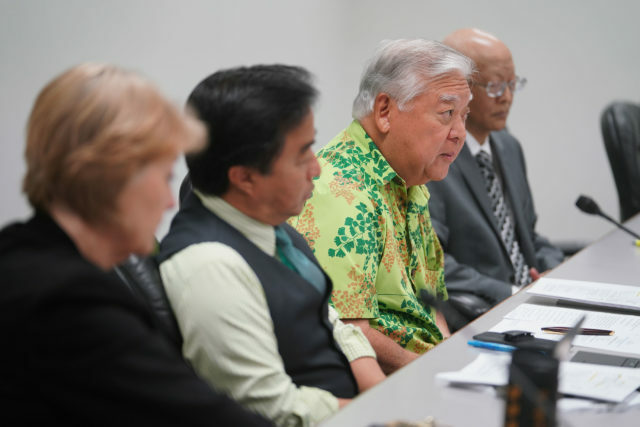 Sente Bill 366 would fund an Alzheimer’s services coordinator in the Executive Office on Aging tasked with updating the state’s Alzheimer’s plan that has not been amended since 2003, Sen. Sharon Moriwaki said at a press conference Tuesday. That coordinator will also collect data on how the disease affects Hawaii, Moriwaki said. House Bill 468 would provide $550,000 to fund two health programs for Hawaii’s elderly. One teaches kupuna how to manage their chronic health conditions. The other is a health and fitness program. Those programs got funding in 2017, but received no funds from the state last year. The appropriations come at a time other big-ticket budget requests are also moving out of the Legislature or have already cleared the governor’s desk. They include disaster relief for the Big Island, emergency funds for highway repairs on Oahu and Maui and the Hawaii Promise Program. Lawmakers had to fit all that into the budget while also dealing with a projected slowdown in economic growth that could result in $80 million less in tax revenues going into the next fiscal year, according to the state Council on Revenues. “To make this kind of commitment in this financial situation speaks volumes to where the money chairs put the priority of the funds we do have available,” Sen. President Ron Kouchi said at the press conference. Kouchi was referring to Senate Ways and Means Chair Donovan Dela Cruz and House Finance Chair Sylvia Luke. The post Group Opposed To Taxing Billions In Real Estate Trusts Is A Big Spender At Capital appeared first on Honolulu Civil Beat. A trade group representing real estate investment trusts has spent more than $126,000 in two months to defeat measures in the Hawaii Legislature that would impose taxes on some of the $18 billion worth of trust investment property in the islands. But one of the bills to tax them is still alive this session. The National Association of Real Estate Investment Trusts is the biggest spender of 250 organizations registered to lobby this legislative session. The groups spent a total of more than $1.1 million from Jan. 1 to Feb. 28, according to reports filed with the Hawaii State Ethics Commission. While the association was the biggest overall spender for this reporting period, it only paid out about $8,000 directly to lobbyists at the local law firm Ashford & Wriston, including Luis Salaveria, the former director of the state Department of Business, Economic Development and Tourism. 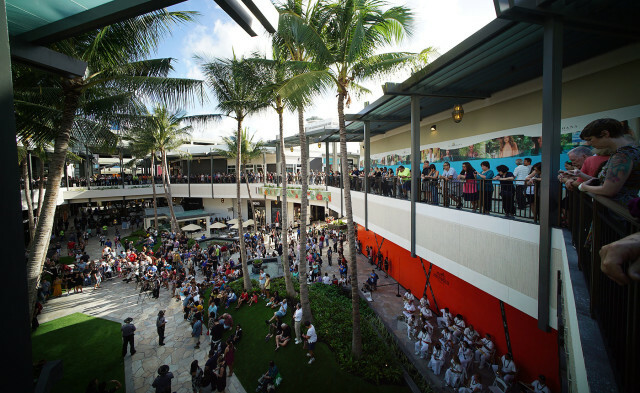 Ala Moana Center, managed by General Growth Properties, is a real estate investment trust. The majority of its money went to advertising ($63,486), lobbying materials ($35,413) and consultant fees ($19,036). What exactly all that paid for is not clear, because organizations aren’t required to provide spending details beyond those broad categories. There’s been a surprisingly strong push in the Legislature this session to start taxing REITS. Senate Bill 301 would impose a 6.2% corporate income tax on the trusts. The bill is headed to a conference committee of House and Senate members. The REITs association has submitted testimony in opposition, arguing the tax could scare off companies and investors, resulting in negative long-term effects on the state economy. The company has launched a website extolling the benefits REITs have in Hawaii. Several REITs in the state sponsored a campaign set up by the National Association of Real Estate Investment Trusts Foundation to help fund affordable housing projects in Hawaii. The association has been lobbying at the State Capitol since at least 2014, but this is only the second time its expenditures hit six-figures for a reporting period. The other time was in 2017 during the Legislature’s special session to fund rail, when the organization spent $103,369. REITs are securities that operate under rules that require them to distribute at least 90 percent of their taxable income to shareholders annually in the form of dividends. They are allowed to deduct those dividends from their taxable income, legally avoiding federal taxes. They own some of Hawaii’s premier real estate, including Ala Moana Shopping Center, Hilton Hawaiian Village and the International Market Place. Shareholders are taxed on dividend income in their own home states or countries, not in the places where the income was generated. For the most part, that means not in Hawaii. Hundreds of local church parishioners, progressive activist groups and about a dozen owners of small businesses in the state have allied in support of SB 301, charging that offshore real estate owners operating as REITs are in essence tax dodgers. The vacation rental hosting platform Airbnb is also resisting legislative efforts to tax its income. Airbnb had lobbying expenses of $30,000. David Louie, a former attorney general turned lobbyist with Kobayashi Sugita & Goda, was paid $20,244 by the hosting platform. Airbnb also paid about $2,600 each to Bruce Coppa, Blake Oshiro and Ross Yamasaki of Capitol Consultants, the state’s largest government relations and lobbying firm. Two bills to tax vacation rental hosting platforms are still alive and may move into conference committee. House Bill 419 would tax the rentals and require counties to keep registries of those properties. It would also outlaw any rental not listed on the registry. Louie sent eight pages of written testimony when the bill was last heard in a committee. He also wrote that the bill violates a federal statute that exempts websites from having to verify third-party information. He argued that private information stored on a website should be inaccessible to the government without a search warrant. Louie also testified in opposition to Senate Bill 1292, a similar measure that would also collect general excise and transient accommodations taxes from vacation hosts. While Aribnb and the REITs association are high on the list for total expenditures, the telecommunications company Verizon spent the most on direct payments to lobbyists. 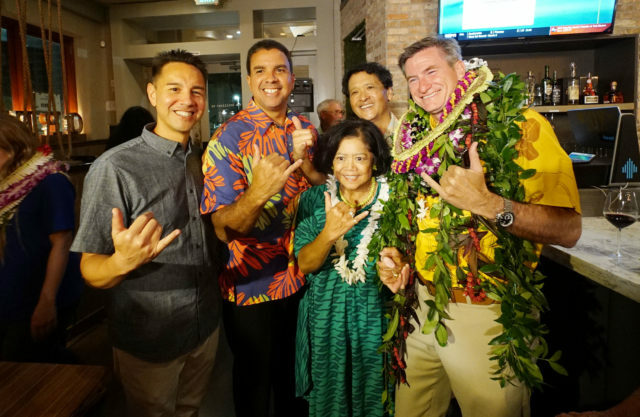 Verizon spent $55,000 directly on lobbyists ($55,844 in total lobbying costs), followed by Kamehameha Schools at $30,712 ($32,111 total), Airbnb at $30,027 ($34,227 total), the Hawaii Medical Service Association at $26,675 ($35,052 total), and the Ulupono Initiative at $23,764 ($25,608). Michael Bagley, Verizon’s regional public policy director, was paid $33,000. Verizon also made payments of $10,000 each to Michael Iosua and Kimberly Yoshimoto from the law firm Imanaka Asato. Bagley sent written testimony to legislative committees in support of a pair of bills that seek to lift certain regulations on telecommunication companies. Senate Bill 991 and its companion House Bill 272 are set to go to conference committees. The bills would remove restrictions for a “telecommunications service provider providing fully competitive retail services.” They would cap monthly rate increases for basic services on neighbor islands at $6.50 unless companies get approval from the Public Utilities Commission, but would lift other PUC restrictions. Companies like Hawaiian Telcom would no longer be required to get PUC approval for selling stocks and other investments. They also wouldn’t need the PUC’s blessing to lease, sell or mortgage property and infrastructure. The bill would also exempt telecommunications companies from a state law that requires a report of any accident, including loss of life, resulting from the company’s services. Bagley testified that the bill would modernize the state’s regulations. “Streamlining and reducing regulations in an increasingly competitive environment in which telecommunications businesses operate is a demonstration of good public policy – it is in the public’s best interest,” Bagley said in written testimony. While expense reports don’t say exactly which measures lobbyists are tracking, the reports list subject areas a company is lobbying in. For Verizon, those include communications and public utilities, consumer protection and commerce, government operations and finance, public safety and corrections and science, technology and economic development. 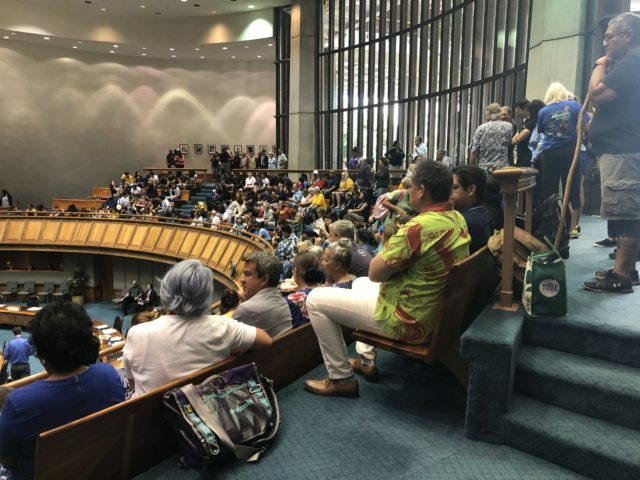 Kamehameha Schools has been busy at the Capitol this session weighing in on a number of measures related to education, health, agriculture, the environment and the minimum wage. 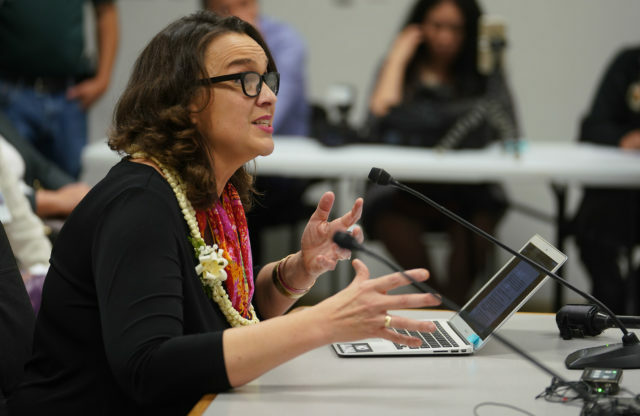 It’s paid a total $15,000 to Melissa Pavlicek and Stephen Teves from Hawaii Public Policy Advocates, as well as more than $14,000 to its own in-house lobbyists. The Ulupono Initiative was founded by Pierre and Pam Omidyar. Pierre Omidyar is the CEO and publisher of Civil Beat. 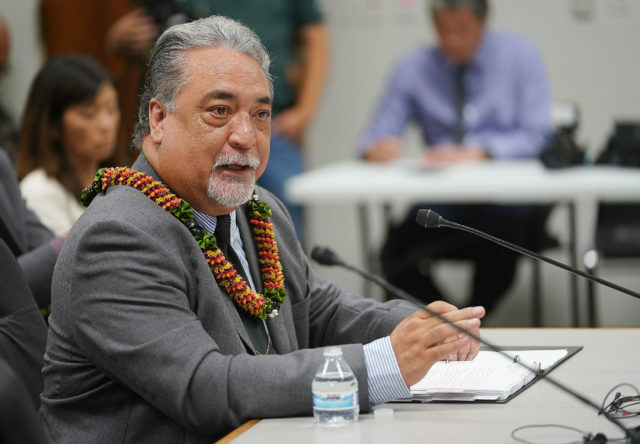 The post Ige Stands By His Public Safety Chief After Senate Panel Calls For Espinda’s Ouster appeared first on Honolulu Civil Beat. A Senate committee voted against Public Safety Director Nolan Espinda’s reconfirmation Thursday afternoon, in effect recommending that their colleagues reject him when the full Senate votes. The committee’s recommendation may lead to a showdown with Gov. David Ige in the waning days of the 2019 Legislature. Ige reiterated his support for Espinda in an emailed statement Thursday afternoon. Ige cited Espinda’s reduction of overtime hours, increases in inmate visitation hours and better services for parolees. 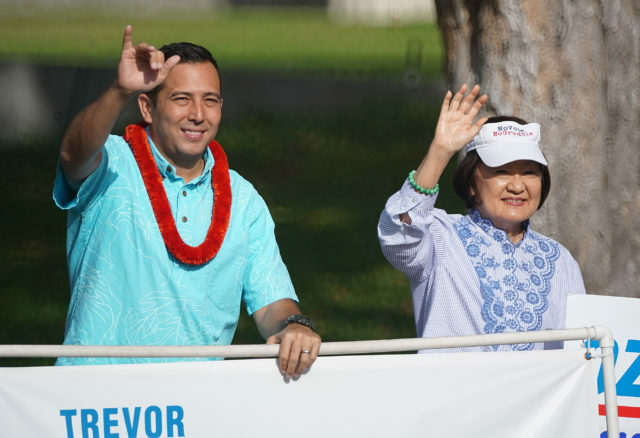 “I know that Senators will look at his complete record and see that he is well qualified to serve another term,” Ige said in the statement. Committee members criticized Espinda’s leadership of both the prison system and the state Sheriff Division. Public Safety Director Nolan Espinda, holding a notebook, listens as the committee makes its decision to recommend the Senate not confirm him for a second term. The vote of the Public Safety, Intergovernmental & Military Affairs Committee came as no surprise to Espinda, who said that the committee members had been indicating for the past month that they would not recommend he continue as public safety chief. Senators Roz Baker, Breene Harimoto and Clarence Nishihara, the committee chair, voted against Espinda’s reconfirmation. Senators Glenn Wakai and Kurt Fevella also voted with the majority, but with reservations. Espinda told reporters after the hearing that he is not sure how the full Senate will vote. “We have accomplished a lot in the last four years. I think continuity going forward will help the department achieve significant advances in the coming years,” Espinda said. Baker said Thursday that the department cut staff to give the appearance of reducing overtime costs, something that Espinda previously denied happened. And Nishihara said that teleconference visits between inmates and their families shouldn’t count as visitation hours. “If you have no personal, face-to-face contact, and it’s all done through television monitors between inmates and their family members, I don’t consider that visitation,” Nishihara said. Committee members did not pin all the department’s shortcomings on Espinda. Harimoto said that many of the problems, like jail overcrowding, predate Espinda. And Wakai said that the Legislature needs to take some of the responsibility for not fully funding the department. “If we think public safety is important, we should be resourcing you properly so you can do your job correctly,” Wakai told Espinda shortly before the vote. The vote came after the committee held two hearings. It took public testimony April 4 and then grilled the DPS director and his deputy director Tuesday, when many of its questions about recent shootings and a jail riot went unanswered. In February, a deputy sheriff shot a homeless man during a struggle on the Capitol grounds. In March, corrections officers fatally shot an inmate after he escaped from the Oahu Community Correctional Center. Also last month, inmates at the Maui Community Correctional Center rioted, causing an estimated $5.3 million worth of damages. Espinda said inmates were upset about overcrowded conditions. DPS has proposed an 80-unit, medium security housing facility to help alleviate the overcrowding at the Maui jail. Construction is expected to begin in 2020 and finish in 2021. Committee members and people who testified also complained that even though state deputy sheriffs were required by the Legislature since 2011 to obtain accreditation from the Commission on Accreditation for Law Enforcement Agencies, DPS has yet to even apply for the accreditation. From left, committee members Sens. 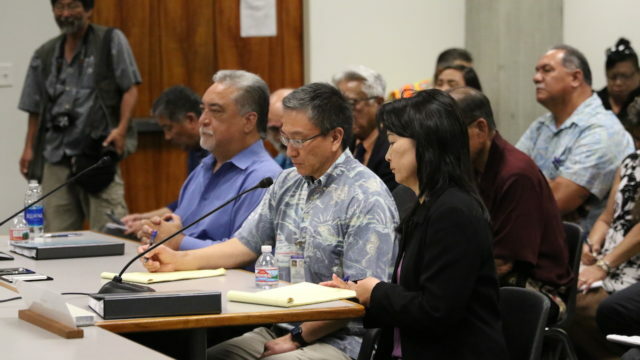 Roz Baker, Glenn Wakai, Clarence Nishihara and Breene Harimoto at Thursday’s hearing. The same day, Espinda said that he wants his department to implement some of the criminal justice reforms from a task force report that recommended moving away from a punitive system to one that is more rehabilitative. One of that report’s goals was to reduce recidivism rates, or the rate that inmates reoffend after being released from jail or prison. Espinda said that, under his administration, DPS reduced its recidivism rate from over 50% percent to around 47%. A separate task force report on pretrial procedures proposed reforms to the bail system and reducing the amount of pretrial detainees. As of March 31, there were 2,058 inmates in Hawaii’s four jails, which have an operating capacity of 1,609. About 911 of those inmates, 44%, were pretrial detainees. While Espinda was criticized by several DPS employees at the April 4 hearing, he also got a lot of support from fellow cabinet members and other DPS administrators. Civil Beat previously reported that Espinda was one of three of Ige’s cabinet members who may not make it through the reconfirmation process. 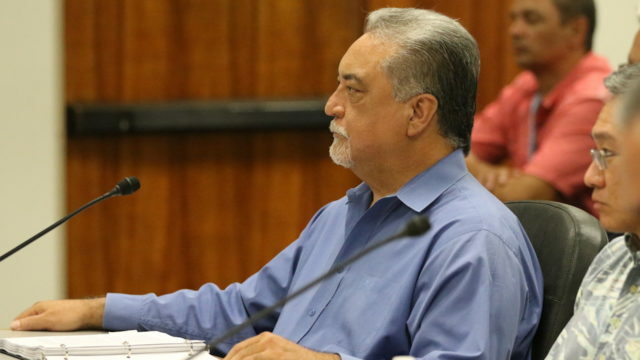 Ige announced March 29 that he would not renominate the other two directors, Rod Becker and Jobie Masagatani from the Department of Budget and Finance and the Department of Hawaiian Home Lands. The post Senators’ Questions About Jail Riot, Shootings Go Unanswered appeared first on Honolulu Civil Beat. The post Minimum Wage Increase Among Hundreds Of Bills Moving Forward appeared first on Honolulu Civil Beat. Bills increasing Hawaii’s minimum wage, decriminalizing possession of small amounts of marijuana, enacting all-mail elections statewide and requiring the state to license midwives advanced at the Legislature on Tuesday. Several hundred bills were approved in the House of Representatives and the Senate. What was not voted on, however, was a bill to grant land company Alexander & Baldwin and others a seven-year extension to divert public waters in East Maui and elsewhere. House Bill 1326 could still be voted on by the Senate, but nothing has been scheduled. Thursday is the “second crossover” deadline for measures to remain alive this session, which concludes May 2. The Senate gallery Tuesday was filled with supporters of a minimum wage increase and opponents of a water rights bill. Many of the bills that are moving will likely need further work in the two-week conference committee period that begins Monday. That’s where conferees of both chambers try to iron out their differences on amended legislation. Sen. Russell Ruderman, a Big Island businessman, told his colleagues that he hoped the wage would grow even higher. The issue is now headed for conference committee, because the House passed another minimum wage bill with no details as to how much and when it would increase. Rep. Aaron Ling Johanson speaks in support of a minimum wage increase Tuesday. A previous version of Senate Bill 789 would have raised the wage to $15 an hour by 2024. But the version the House passed now has blank dollar amounts. The new version also creates a separate schedule of minimum wage increases for employers that are not required to provide health coverage for part-time workers but still do. But those dollar amounts are blank as well. The bill also bans employers from paying people with disabilities less than the minimum wage. Some opponents cited concerns that a minimum wage increase would adversely impact small businesses. The current measure lacks a tax credit for small businesses that previous versions included. Rep. Lynn DeCoite was one of nine representatives voting against raising the minimum wage. “We are not a business friendly state,” DeCoite said, later adding that businesses should determine who is worthy of receiving higher pay. Others worried over how the proposed two tiers of minimum wage increases would play out. 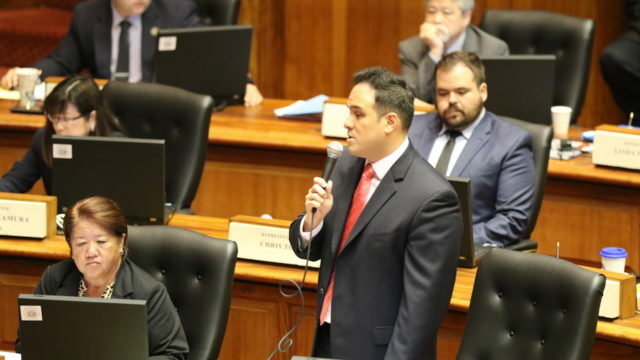 Rep. Aaron Ling Johanson, who supported the measure, said on the House floor that the amendments could help defray Hawaii’s high costs of living and doing business. Johanson, who chairs the House Labor Committee, added the health care and disability provisions in March. “This is a multifaceted problem that takes a multifaceted solution,” Johanson said. Senate Bill 1033 would require midwives to obtain a license by 2020. Similar measures have failed in past sessions. The measure has been contentious in recent sessions, and it was again on the House floor Tuesday. Rep. Gene Ward, one of six Republicans in the 51-member chamber dominated by Democrats, opposed the bill. He said regulating midwives would be governmental overreach and that the bill doesn’t offer a clear path to licensure. Rep. Gene Ward said Tuesday that requiring midwives to be licensed would be governmental overreach. Several lawmakers shared anecdotal stories they heard or even experienced involving malpractice by midwives. Rep. Chris Lee recounted the story of an obstetrician he knew who had to tend to a pregnant mother who was hemorrhaging after she was treated by a midwife. “How many dead babies, how many dead mothers does it take to change things?” Lee said. Ward criticized proponents’ use of anecdotes, as well as the apparent lack of in-state data regarding midwifery. Rep. Ty Cullen, citing national data, said death rates are higher in states that don’t license midwives. A 2009 study of 1,000 births by Canadian researchers found that at-home deliveries could be just as safe as those in hospitals if the midwife performing the birth was credentialed. There was also concern that the bill could sweep cultural practitioners into its regulations. House lawmakers previously amended the bill to create different measures to regulate those types of birth attendants by 2023. The bill would also create a legislative task force to study at-home births. Supporters say regulating midwives is no different than doing so with any other medical practice. “Ultimately, I feel very strongly that whenever we have issues that touch on health services, I think licensure is importation,” said Rep. Dan Holt. Lawmakers eager to gather tax revenue from the state’s flourishing, yet mostly unpermitted, vacation rental sector passed legislation that would require websites like Airbnb to collect and pay taxes on behalf of short-term rental hosts. The House and Senate approved separate bills. Attempts to enact similar measures have failed in past years, but lawmakers said they believe they have a better chance of succeeding this time. Many Hawaii vacation rentals are operated illegally, making tax collection challenging. The transient accommodations and general excise taxes the short-term rental operators must pay are levied by the state. Rep. Richard Onishi, chair of the House Tourism and International Affairs Committee, said the four counties are making progress in crafting laws and rules to better regulate vacation rentals. The state’s role, he said, is to make sure government is getting its tax revenue. “We’re trying to capture the taxes from people that are doing the business in Hawaii, which is the state’s responsibility,” said Onishi. State representatives also voted to move forward with several voting measures, including automatic recounts and ranked choice voting for some primary races. Senate Bill 216 would require an automatic recount in races where the margin of victory is less than 0.5 percent or 100 votes. The measure received little attention on the House floor Tuesday, and it cleared both chambers with almost no opposition. The House had made minor changes to the bill April 3. If the Senate agrees with the changes, the bill could soon go to Gov. David Ige to be signed. The Senate, meanwhile, approved a proposed constitutional amendment in support of the vote recount requirement. Ranked Choice voting also still has a chance. Senate Bill 427 would enact the voting system for special federal elections and vacant county council seats. The House also passed Senate Bill 412 and the Senate passed House Bill 1485, both of which would automatically register anyone to vote who applies for a driver’s license. In the Senate, 23 of the chamber’s 24 Democrats (Michelle Kidani was absent) approved a bill enacting all-mail balloting statewide by 2022. There would still be voter service centers to allow for walk-in voting and to help voters with special needs. Senate Bill 1248 also calls for the state Office of Elections to publish and distribute voting pamphlets. Kurt Favella, the only Republican in the Senate, voted “no” on the legislation. But another election-reform bill, requiring candidates for U.S. president and vice president to make public their tax returns, was rejected in the Senate. HB 712 died in a 15 to 10 vote. It’s uncertain if HB 1326 will ever be heard in the full Senate, but the visitor gallery was filled with many opponents of the bill who argue it unfairly favors the land company Alexander & Baldwin. In his brief introductory remarks, Ruderman told his colleagues he hoped they would keep in mind the title of a Spike Lee film. “Do the right thing,” he said, generating whoops and applause from the gallery. 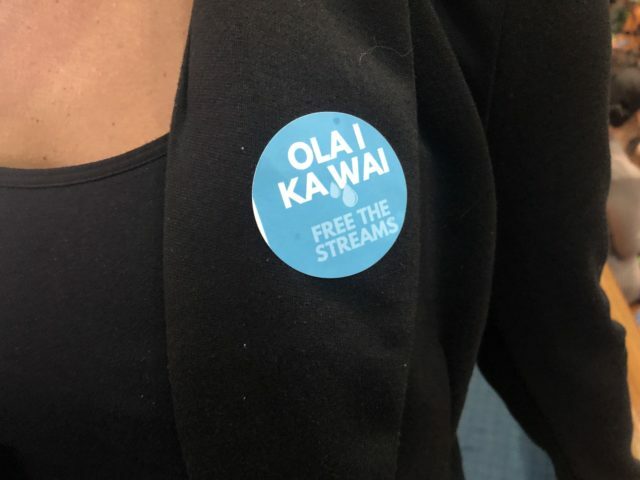 Many people at the Capitol wore stickers opposing the water bill. That translates as “water is life” in Hawaiian. At the end of the Tuesday floor session, Senate President Ron Kouchi addressed reports that House leaders are pressing Senate leaders to bring HB 1326 to the floor for a vote, even though it died at the committee level last Thursday. Afterwards, the Sierra Club of Hawaii and others who oppose HB 1326 exulted in their temporary victory but promised to keep a close eye on developments. “We have collectively kicked A&B out of the Capitol,” said Sierra Club director Marti Townsend. The post Bills Lighten Up On Pot Possession, But Add Penalties For Drugged Driving appeared first on Honolulu Civil Beat. A measure to decriminalize possession of a small amount of marijuana cleared its final committee in the Hawaii Legislature on Friday, as did a bill that would add criminal penalties for driving under the influence of a host of new substances. Under House Bill 1383, possession of 3 grams of pot or less would be punishable by only a $30 fine. Measures to legalize recreational marijuana all died this session. Meanwhile, Senate Bill 641 would create a new criminal penalty to charge drivers who might be impaired by substances other than alcohol or currently listed narcotics. The Senate Ways and Means Committee approved a measure Thursday that would decriminalize possessing less than 3 grams of marijuana. While both measures have cleared committee hearings, they still face floor votes in the House and Senate. The Senate Ways and Means Committee, chaired by Sen. Donovan Dela Cruz, approved the decriminalization measure that House lawmakers previously called a baby step toward marijuana reform. The bill would also allow anyone who has been convicted of possessing 3 grams or less of marijuana to apply for expungement. Possessing that amount is currently a petty misdemeanor. The Drug Policy Forum of Hawaii said in written testimony that the current version of the measure doesn’t go far enough. 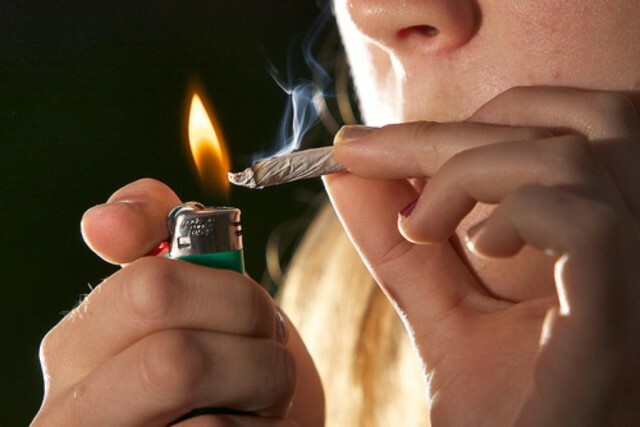 The group suggested decriminalizing possession of up to an ounce of pot. Moriwaki said she’d like to see a task force study decriminalization before changing the law. The $30 fine is less than what House Democrats proposed in March. Rep. Chris Lee, who wrote the bill, made an amendment last month to establish a $200 fine for possession of 3 grams or less. Lee said he’d have to check with other House members regarding whether they want to accept the Senate’s amendments. If drivers are caught with substances other than alcohol or illegal narcotics in their systems, they could still face petty misdemeanor charges under a proposed bill. Lee’s House Judiciary Committee also approved a bill that would create a new criminal penalty for driving while impaired by substances other than alcohol or drugs on schedules 1-4 of Hawaii’s Uniformed Controlled Substances Act. The penalty would be piloted for three years before the Legislature re-evaluates it. SB 641 would allow prosecutors to charge drivers with substances found in their system with a potential offense equal to a petty misdemeanor. In Hawaii, that could mean up to 30 days in jail and up to a $1,000 fine. The bill’s original language would have expanded the substances that drivers could be convicted for under Hawaii’s impaired driving law. The new draft of the bill creates an offense separate from the DUI law to make sure people who aren’t abusing drugs are not caught by the intoxicated driving law’s heavier penalties. The bill will also move forward with provisions that police collect data on toxicology reports. The post UH Loses Bid To Expand Scholarship Program To 4-Year Campuses appeared first on Honolulu Civil Beat. 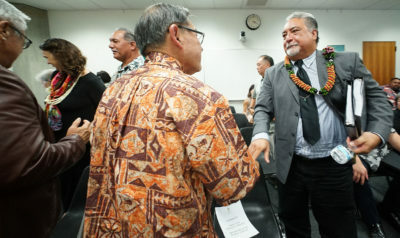 The University of Hawaii’s request to expand a tuition assistance program to its four-year campuses will not clear the Legislature after a House committee voted Wednesday to maintain the program only at community colleges. The House Finance Committee passed Senate Bill 316 on Wednesday. It would provide UH community colleges $2.5 million a year for the Hawaii Promise Program, which currently covers tuition for eligible students. Lawmakers are also tasking UH with collecting data on how effective the program is in terms of graduation rates. The measure is likely to be approved by the Senate before going to Gov. David Ige for his signature. Ige had supported UH’s original budget request for $19 million each of the next two fiscal years to expand the scholarship program to four-year campuses at Manoa, Hilo and West Oahu. Honolulu Community College students are among those eligible for the Hawaii Promise program. The scholarships would have gone to students who had exhausted other forms of financial aid to cover basic education costs like tuition, books and transportation. At the community college level, the program has helped more than 1,500 students since it was implemented in 2017. The funds provided in SB 316 should sustain the program at the community colleges for at least the next two years, said UH spokesman Dan Meisenzhal. UH will come back to the Legislature next year with another request to expand the program to the four-year campuses, Meisenzhal said. 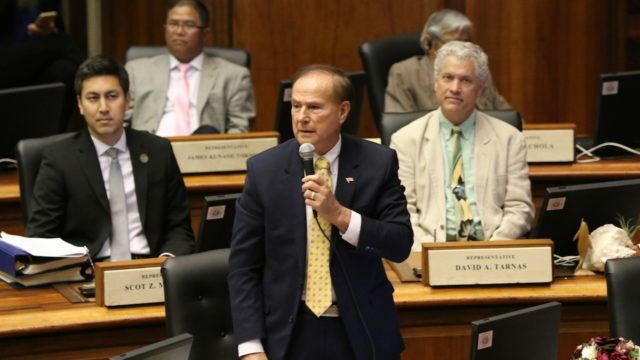 Hawaii Promise was one of the big-ticket items that wasn’t included in the state’s base operating budget that the Legislature passed in March. Others included money for homeless initiatives and pre-kindergarten school programs. Prospects for expanding the UH tuition program were shaky from the start. Sens. Donna Mercado Kim and Donovan Dela Cruz indicated in December that UH’s budget request might not pass in full. Kim later told Civil Beat that the Senate would not expand the program. 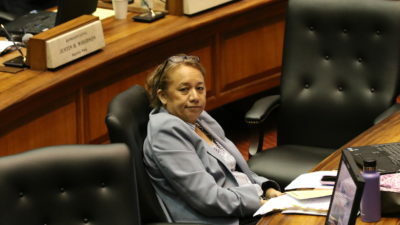 House Finance Chair Sylvia Luke told reporters in March that Hawaii Promise was low on the list of outstanding budget requests compared to items like Big Island disaster relief. But Hawaii Promise was the top priority for UH. UH administrators wanted to expand the program to its four-year campuses to allow community college students already receiving the scholarships to continue getting them if they transferred. Several bills would have paid for that, but none made it through. UH administrators hoped the expanded program would mean more students could avoid taking out loans. 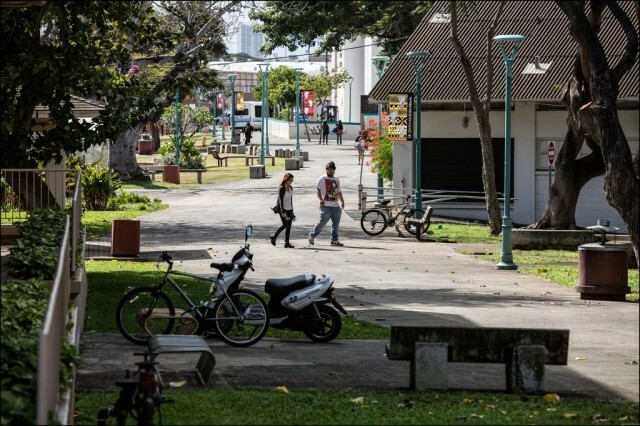 At UH Manoa, the average undergraduate leaves school with about $24,000 in student debt, according to the Institute for College Access And Success. SB 641 would also require UH to collect data on Hawaii Promise’s effectiveness helping students graduate. The bill tasks UH with tracking how many community college recipients aren’t able to complete their degrees, how likely students are to complete their degrees if they receive the scholarships and how many recipients would have enrolled at UH regardless. UH said in written testimony that it has already begun tracking program data. 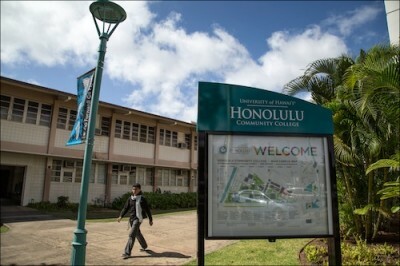 Honolulu Community College in 2014. Lawmakers want UH to collect data on who receives Hawaii Promise scholarship money and how effective it is at helping students graduate. The House version of the bill also requires the UH to study how effective the program is for helping students graduate. Dela Cruz included those amendments after Jim Shon, former director of the UH Education Policy Center, raised concerns about the effectiveness of the program. He worried that some scholarship recipients would have gone to college anyway and didn’t need the assistance. The program requires that recipients fill out the Free Application for Federal Student Aid, be enrolled in classes offering at least six credits and have a 2.0 or higher grade point average. Shon suggested that UH leave scholarship requirements up to individual campuses. The bill would require UH to submit a report to the Legislature before its 2021 session. That’s also when the state will be considering its next biennium budget, and likely the next time UH could make a real run at expanding the program. When the lawmakers first introduced bills to create the scholarship program in 2017, some measures would have appropriated money for all UH campuses, but none of them received hearings. The post Senators’ Scrutiny Of Public Safety Chief Will Stretch Into Next Week appeared first on Honolulu Civil Beat. Nolan Espinda’s time on the hot seat has just begun. After hearing more than two hours of testimony Thursday on whether the director of the Department of Public Safety should keep his job, a Senate committee indicated there would be two more days of hearings next week. The Senate Public Safety, Intergovernmental and Military Affairs Committee is scheduled to hold a second hearing Tuesday to ask questions of department staff about issues such as the March riot at the Maui Community Correctional Center, which Espinda said was at least partially the result of overcrowded conditions. The committee is expected to vote April 11 on whether to recommend Espinda’s reconfirmation, which will ultimately be decided by the full Senate no matter what the committee does. Public Safety Committee Chairman Sen. Clarence Nishihara has already said he wants Espinda out. Public Safety Director Nolan Espinda testifies before a Senate committee at the end of a two-hour hearing Thursday. Nishihara told Civil Beat he does not plan to subpoena witnesses or documents for the hearing Tuesday. He said he doesn’t know yet if a majority of his committee members will vote to recommend Espinda’s reconfirmation. He recently told the Honolulu Star-Advertiser that he opposes it. Based on written testimony and what was said in a packed hearing room Thursday, Nishihara is not alone in opposing Espinda. Shawn Tsuha, a deputy sheriff lieutenant, criticized Espinda for a lack of attention to the sheriffs division. Tsuha was the deputy director for law enforcement at DPS from 2013 to December 2016. He also served two stints as the state sheriff from March 2011 to June 2013 and from January to June 2017. 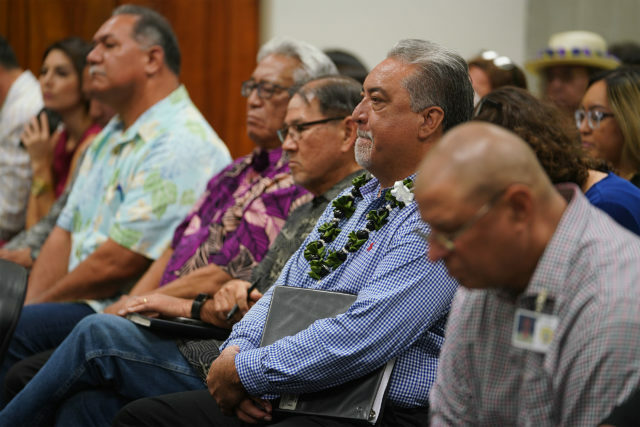 Tsuha noted the department has not pursued accreditation by the Commission on Accreditation for Law Enforcement Agencies, even though the Legislature requires that. “If you believe that the division is under some type of strategic direction, I posit that’s not correct,” Tsuha said. The current state sheriff, Al Cummings, supported Espinda. 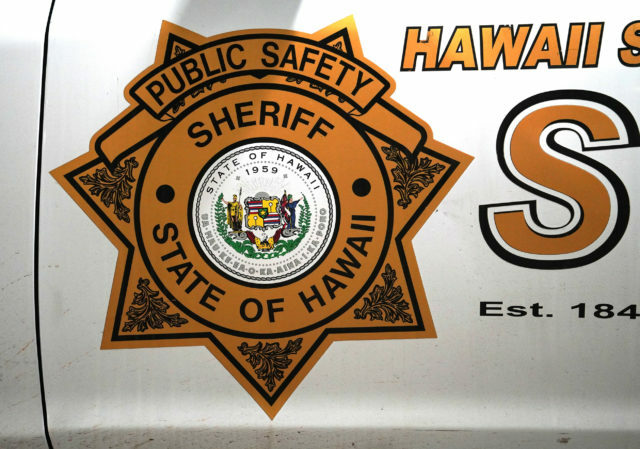 He said that Espinda and his deputy director for law enforcement, Renee Sonobe-Hong, have brought more accountability to the sheriffs division. Besides some people in his own department, Espinda has other high-profile endorsements coming from his fellow cabinet members in a show of solidarity within the administration. Even Doug Chin, the former attorney general, made an appearance Thursday to support Espinda. Ford Fuchigami, Gov. David Ige’s chief of staff, left, greets Public Safety Director Nolan Espinda after the hearing. Gov. David Ige has stayed steadfast in his support for Espinda, who has been DPS director since 2015. Before that, Espinda worked in the department for 32 years, including two stints each as warden at Halawa Correctional Facility and the Oahu Community Correctional Center. Espinda highlighted some of his accomplishments in written testimony to senators. He said he had reduced overtime abuse by prison workers and the cancellations of visits by inmate’s family members due to staff issues. He cited other accomplishments when he testified at the end of Thursday’s hearing. Espinda said the department has purchased new rifles to replace outdated AR-15s. He also said that under his directorship, the Law Enforcement Division in DPS requires officers to go through 40 hours of in-service training each year. He acknowledged in his written testimony the department still needs to get its sheriffs division accredited by the Commission on Accreditation for Law Enforcement Agencies, something the Legislature has required since 2011. In a March 12 letter to lawmakers, Espinda said that it could still be four more years before the department is able to bring its policies and procedures up to CALEA’s standards. But he told the committee Thursday that he hopes to attain CALEA accreditation within the next two or three years. His department has faced especially heavy scrutiny since February, when a deputy sheriff fatally shot a man on the Capitol grounds. The man’s family said he was physically handicapped. And the March 11 riot at the Maui Community Correctional Center drew public attention to Hawaii’s overcrowded prisons. Both are expected to be main points for the committee’s questions Tuesday. 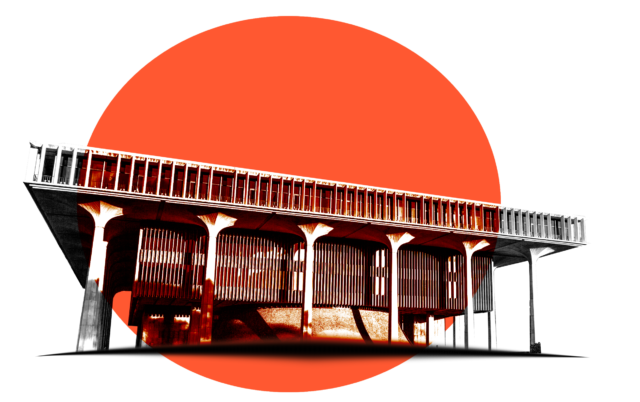 Nishihara’s committee will focus on the circumstances, timeline, policies and responses surrounding the MCCC riots and the shooting at the State Capitol at Tuesday’s hearing. 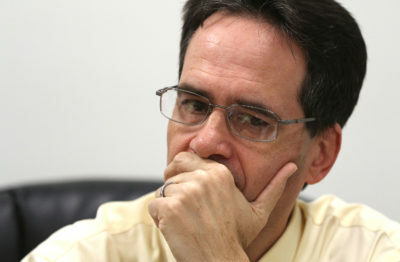 Nikos Leverenz, a frequent lobbyist on social justice and criminal reform issues, testified that legislators also have a role to play in DPS’s perceived shortcomings. The Legislature has failed to act on several criminal justice reforms this session. It is, however, considering a measure to reform Hawaii’s bail system that was previously killed. Sen. Donovan Dela Cruz is expected Friday to gut the contents of House Bill 456, which would’ve required DPS to revise use of force policies, and replace it with more funding for MCCC. The new draft of the bill would give the department $5.3 million to repair damages from the March riot, and give it $8 million in bonds next fiscal year for electric and mechanical work, security improvements and ceiling repairs. Throughout most of the hearing Thursday, Espinda sat still, hands crossed with a stoic expression on his face. But the former prison warden’s eyes welled up when his wife, Malia Espinda, testified in support of him. “Let me let you all in on a little secret. It’s the worst kept secret: Nolan is not very warm and fuzzy,” she said, prompting laughter. Malia Espinda, wife of DPS Director Nolan Espinda, testifies in support of her husband. Her testimony before lawmakers gave the public rare insight into the private life of the DPS director. She said she was a former executive assistant to previous DPS directors. Espinda has the mind of an engineer, she said, and will often mull over solutions to work problems throughout the day, even while sitting in traffic. She praised Espinda for promoting women to leadership roles in the department. Each of his division heads are women. The post Bill Would Criminalize Driving Under The Influence Of … Almost Anything appeared first on Honolulu Civil Beat. 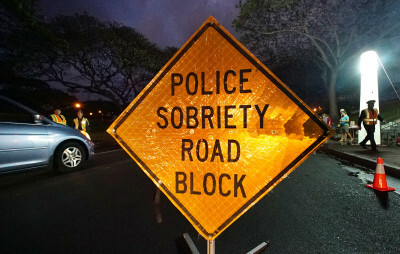 A legislative committee is scheduled to vote Thursday on a measure that would vastly expand the substances for which people could be convicted under Hawaii’s intoxicated driving laws. Under Senate Bill 641, those substances could include any plant, medication, poison or compound that could fall under a whole host of depressants, stimulants, hallucinogens, anesthetics, narcotics and inhalants. The bill would allow prosecutors to pursue charges against suspected impaired drivers by expanding the substances that could potentially lead to DUI charges beyond the ones currently listed in schedules 1-4 of the state’s Uniform Controlled Substances Act. Existing law only allows prosecution for alcohol and illegal narcotics like marijuana, meth and opium. Sen. Karl Rhoads, who authored the bill, said he wanted to get out in front of new drug trends. The Legislature can only make changes to the Controlled Substances Act once a year when lawmakers are in session. “We can’t keep up with all the types of substances that can make you impaired while you’re driving,” Rhoads said. 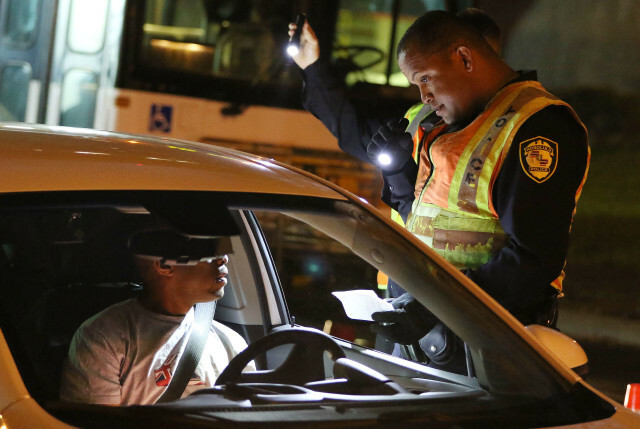 A Honolulu Police Department officer speaks to a man at a DUI checkpoint. The Legislature is considering a bill that would increase the number of substances that could lead to DUI charges. The bill has already passed the Senate with no opposition. The House Judiciary Committee, chaired by Rep. Chris Lee, was expected to vote on the measure Wednesday but deferred the vote until Thursday. Lee said legislators were still considering possible changes in the bill. Lee said he wants to make sure that people who aren’t actually intoxicated won’t be prosecuted. He also said that before changing the law permanently, he’d like to test it with a trial that measures how effective toxicology reports are at determining impairment. Sen. Karl Rhoads wants the state out in front of all the new ways that people might drive under the influence. Rhoads said he hopes the measure will act as a deterrent to any would-be drugged drivers. Prosecutors would still need to prove beyond a reasonable doubt that someone was impaired by the drugs that were in their system. “You’d probably have to be pretty toasted on something before you get convicted under a catch-all because it’s going to be hard to prove,” Rhoads said. The broader definition of “drug” poses a problem, said State Public Defender Jack Tonaki, because right now people know what substances they could be arrested for. Under this measure, they may not know. “The public doesn’t have notice as to what kind of substances are banned or not banned,” Tonaki said. The bill is supported by the state Department of Transportation, the Honolulu Police Department and the prosecuting attorneys of Kauai and Honolulu. “The bottom line is that impaired drivers are a menace to the safety of all roadway users, regardless if the particular impairing chemical in their blood is on a specific list or not,” Benjamin Moszkowicz, HPD’s acting major in the traffic division, said in written testimony. Tonaki is concerned that there would not be specified legal limits for any potential drugs that could fall under the new definition. “Seems to me if you can’t determine what a person is violating the law for, you shouldn’t be able to arrest someone and take them to jail,” Tonaki said. Tonaki also noted the state already has laws to prosecute reckless drivers. The Drug Policy Forum of Hawaii, which opposes the bill, also had concerns that its language is too broad. Carl Bergquist, the forum’s executive director, said the bill should have included a mechanism for the state to collect data on what types of drugs police make DUI arrests for. State law currently allows the Department of Public Safety to make temporary additions to the list of scheduled drugs.